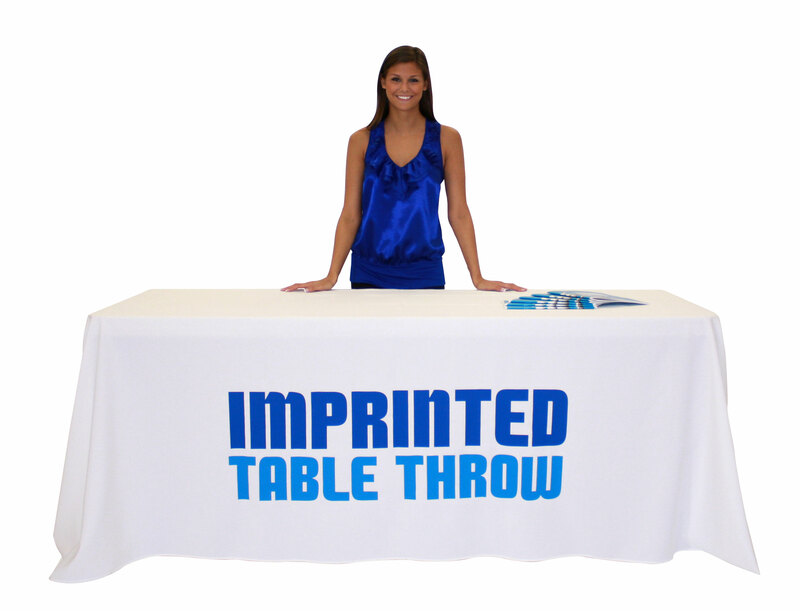 Table throws are great way to complete your presentation, maxamizing your advertising with additional space to display your message Table throws come in 2 different options, Economy/Full. Economy has an open back while Full has all 4 sides covered. Can be fully digitally printed or come in a fabric color that is standard. 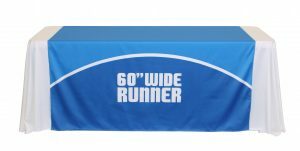 Sizes available are 4′, 6′, 8′ wide. 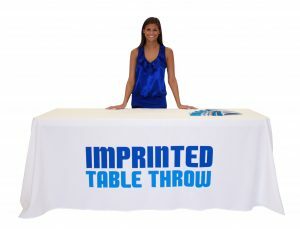 Also table runners are an option to overlay your table. 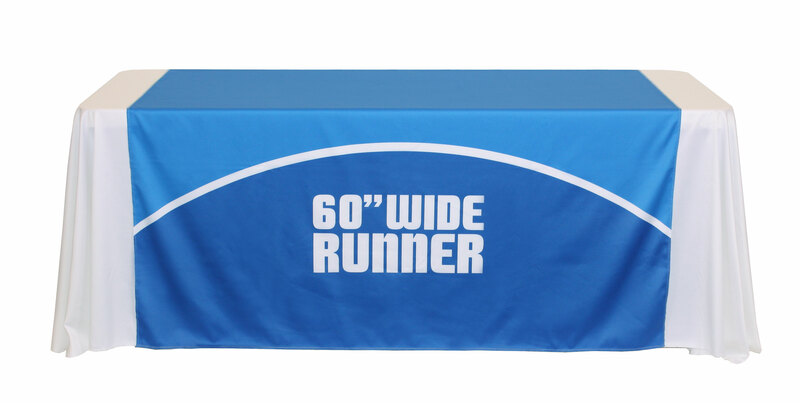 Sizes available are 24″, 30″, or 60″ wide. Pantone matching is available as well to keep the correct colors of your company.